Attorney Kathryn Schiller focuses her practice on family law appeals. Kathryn was successful in the North Carolina Court of Appeals in a multi-million dollar property distribution appeal (twice) and in a custody appeal on behalf a mother of two children with special needs. An alimony appeal was quickly resolved after Kathryn filed her appellate brief. Our law firm has considerable appellate experience, in family law and other practice areas. Having a comprehensive knowledge of the appellate rules, Kathryn can advise you when a judgment in your case is a mistake of law and justice has not been served. Under the right circumstances, clients who act quickly can successfully get the Court of Appeals to overturn the family court ruling. In North Carolina, family law matters, such as divorce, child custody, child support, post separation support, alimony, and property division (equitable distribution), are heard in District Court. Final decisions in District Court can usually be appealed to the North Carolina Court of Appeals. A decision should be appealed when there is either an erroneous interpretation of the law or when there is a real need for a change in the current case law. Although you may be dissatisfied with the outcome of your case, the judge’s decision may be an accurate interpretation of the law that will not be overturned on appeal. For this reason, you should have your case carefully reviewed by a qualified family law appellate attorney to determine whether it makes sense to pursue an appeal of your family law case. If you believe that the outcome of your case was unjust, we would be pleased to speak with you to help you determine your best course of action. If you are interested in an appeal of a family law final order, please keep in mind that there are short filings deadlines for the appeal that cannot be missed or extended. For instance, the deadline to file a post-trial motion is 10 days. The deadline to file a notice of appeal to the Court of Appeals is 30 days. Filing a notice of appeal triggers a number of other deadlines. So, if you are thinking about appealing a family court judgment, it is imperative that you speak to an attorney immediately. These appeals filing deadlines are strict. If you miss the deadline to file the notice of appeal, you will almost certainly have waived your right to appeal your family law case to the Court of Appeals. However, what constitutes a “final order” is not always clear-cut. Therefore, before you make any decisions about your appeal, we encourage you to contact an attorney to make sure you have calculated the deadline correctly. The appeal process to the North Carolina Court of Appeals begins by filing a notice of appeal in District Court. Filing the notice of appeal is a jurisdictional requirement. This is significant because the North Carolina Court of Appeals will (understandably) be very reluctant to accept a case if it does not have jurisdiction over the case and will likely dismiss the case. be signed by counsel of record for the party or parties taking the appeal, or by any such party not represented by counsel of record. This is not a tall order, but, again, because filing the notice of appeal is jurisdictional, and a misstep on this filing will probably lead to a dismissal of the appeal, it is of the utmost importance to draft this document correctly. The Record on Appeal is a compilation of documents that is filed in the Court of Appeals. Again, the laundry list of requirements is too extensive to explore hear, but what is required, in essence is a summary of the procedural history of the case, the basis for jurisdiction, the issues on appeal, and all of the documents (filings and exhibits) that are necessary for the Court of Appeals to review the case. Before the Record on Appeal is filed with the Court of Appeals, the appealing party serves a proposed Record on Appeal on the appellee for the appellee’s input. The appealing party must serve a proposed Record on Appeal on the appellee within 35 days after either (1) the court reporter certifies delivery of the transcript (if it was ordered), or (2) after appellant files a notice of appeal. Shortly after the Record on Appeal is filed with the Court of Appeals, the Court of Appeals will tell the Appellant when his or her brief is due. 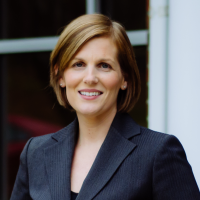 Kathryn Schiller focuses her practice on family law in Raleigh, but she handles family law appeals on behalf of clients throughout the State of North Carolina. You are welcome to contact us about your family law appeal. To schedule a consultation about a family law appeal, please telephone us at (919) 789-4677 or complete the contact form below. Kathryn focuses her practice on family law in Wake County — divorce, child custody and support, alimony, post-separation support, separation, pre-nuptial agreements, name changes, and appeals.